Nanotechnology Research Center 1, Department of Pharmaceutics 2, Faculty of Pharmacy, Ahvaz Jundishapur University of Medical Sciences, Ahvaz, Iran. ABSTRACT: The percutaneous delivery of salicylates to muscle and joints via the application of trolamine salicylate including transfersomes is the goal of this study and is beneficial for the treatment of inflammatory muscle, tendon and joint diseases. In this study, Trolamine salicylate permeability parameters through rat skin were evaluated with different trasfersome formulations in comparison with controls with Franz diffusion cells. Transfersomes were prepared with Solvent evaporation technique. Full factorial design was applied for the experimental design and data analysis. Ethanol / lipid ratio, percentage of sodium cholate, and homogenizer rate were considered as independent variables. On the other hand, transfersome size, drug loading, stability, drug release and skin permeability parameters were regarded as responses. The results showed that the main barrier for Trolamine salicylate permeability was the horny layer and partitioning from aqueous donor phase into the skin was rate limiting step for drug flux. Maximum flux and diffusion coefficient enhancement obtained by transfersomes no. 8 and 7 were 5.5 and 2.2 - folds, respectively. Regression analysis suggested significantly and indirect correlation between percentage of ethanol and sodium cholate with drug flux. Ethanol increased drug solubility in vehicle and so decreased drug partitioning into the skin. Sodium cholate decreased drug release and skin penetration by stabilization of lamellar membrane. Therefore, partitioning from vehicle into skin is a rate limiting step for Trolamine salicylate permeability through rat skin which was improved by transfersomes. INTRODUCTION: Permeation of drugs through the skin barrier has been the basis of transdermal delivery 1. The utilization of the transdermal drug delivery is associated with various advantages such as controlled release of the drug, drug delivery in a continuous input which is important for drugs with short biological half - life and low therapeutic indices, bypassing the first-pass intestinal and hepatic metabolism, and avoiding the gastro-intestinal disorder for oral administration of medications such as salicylates and transdermal drug delivery that allows for drug localization at the target site. The percutaneous delivery of salicylates to muscle and joints is the ultimate goal for the treatment of inflammatory muscles, tendons, and joint diseases 2. Two main steps for skin penetration are partitioning and diffusion through the stratum corneum. It involves partitioning and diffusion to the viable epidermis and then passing into dermis and systemic absorption or penetrating into deeper tissues. The greatest barrier for drug penetration is the stratum corneum, the outermost layer of the skin 3. The stratum corneum poses a formidable challenge to drug delivery systems. Several approaches have been used to improve entry of drugs into lower skin layer and deeper tissues. Chemical and physical permeation enhancers and the use of colloidal carriers such as lipid vesicles like liposomes 4, 5 and transfersomes 6 and nonionic surfactant vesicles such as niosomes 7 and proniosomes were designed to deliver high drug concentration across the skin into the systemic circulation or deeper tissue 8. Various classes of enhancers have been used and the mode of action of these agents have been published by several authors 9. Increasing the diffusity of the drug in the skin, stratum corneum lipid fluidization, increasing the thermodynamic activity of drug in skin and vehicle, and the effect on partition coefficient of the drug, are the most common modes of action of chemical enhancers 10, 11, 12. Transfersomes were developed in order to take the advantage of phospholipids vesicles as transdermal drug carriers. These self - optimized aggregates, with the ultra-flexible membrane, are able to deliver the drug into or through the skin, depending on the choice of administration or application, with high efficiency 6, 13. Trolamine salicylate is a compounded mixture of Trolamine and salicylic acid that is applied to relieve pain in muscles, joint, tendons and in non-articular musculoskeletal conditions 14. Compared to methyl salicylate, Trolamine salicylate is an odorless compound and less permeable through skin. For approaching effective treatment, Trolamine salicylate has to make deep percutaneous penetration into muscles and joints. In the past, it was believed that drug passing through epidermis and dermis would be effectively removed by the cutaneous microcirculation but latter studies showed that local subcutaneous drug delivery is possible and can be effective 15. The aim of this study is to evaluate Trolamine salicylate permeation through rat skin and the effect of transfersomes on its permeability. Materials: Trolamine salicylate was purchased from ACROS Company, lecithin from Fluka Company, sodium cholate sodium lauryl sulfate and propylene glycol from Merck, Transcutol CG was kindly donated from Gattefosse, potassium phosphate monobasic from Sigma Chemical Co. Ethanol (E), methanol and chloroform were purchased from Merck. Water was deionized and filtered in house. All other chemicals used in this study were of analytical reagent grade. Animal Experiments: Male wistar rats weighing 260 - 340 g were used for in vitro permeation study. After sacrificing with ether, the abdominal skin was removed with an electric clipper and a razor without breaking the skin and then it was excised. Any extraneous subcutaneous fat was removed from the dermal surface 16. The full skin thickness was measured using digital micrometer. The animals were treated according to the principles for the care and use of laboratory animals, and approval for the studies was given by the Ethical Committee of the Ahvaz Jundishapur University of Medical Sciences with Ref no. 5171. The guidelines used were prepared by the National Academy of sciences and published by the National Institutes of Health. Solubility Determinations: To determine the solubility of Trolamine salicylate on water, buffer was studied by equilibrating the suspension of excess amount of drug in 5 ml of medium and was shaken gently for 24 h at 32 ºC and then centrifuged for 10 min at 3000 rpm, filtered, diluted and analyzed by UV 17. In vitro Permeation Study: Home-made diffusion cells with an effective area of approximately 2.49 cm2 were used for permeation studies. Full skin and epidermis samples were placed between donor and receptor chambers of the cells while the epidermal side faced the donor compartment. The donor phase was filled with 5 ml transfersome solution of the drug and receptor compartment was filled with buffer phosphate (pH 7). Trolamine salicylate has suitable solubility in this medium and this receptor phase provided a perfect sink condition. Temperature was maintained at 37 ºC ± 0.5 and the receptor was stirred at 300 rpm. At predetermined time intervals, suitable amount of receptor solutions was withdrawn and immediately replaced with an equal volume of fresh buffer. The permeated amount of Trolamine salicylate was determined by UV at 276 nm. Skin samples were hydrated before using in permeation study. In this study, aqueous saturated solution of salicylic acid and 10% Trolamine salicylate cream were used as controls 18, 19. Vesicle Preparation: Ttransfersomes were prepared according to the full-factorial design based on 3 independent variables in 2 levels with solvent evaporation method (SEM) transfersomes consisting of phosphatidylcholine: cholesterol (60:40, w/v %) and ethanol (E) with different ratios were dissolved in organic solvent resulting in film formation as it includes 10 mg lipid in each ml of solvent. Organic solvent consisted of chloroform: methanol (3:1, mole ratio). Thereafter, lipid solution was kept in a rotary evaporator (Buchi, Switzerland) during 3 h at 55 ºC and 50 rpm. Evaporation continued for 1 extra hour until a thin lipid layer was observed. The dried thin film was hydrated with Trolamine salicylate 10% aqueous solution consisting of sodium cholate at 65 ºC above the gel-liquid crystal transition temperature 20. The mixture was kept in the rotary evaporator for 2 h at 65 ºC and 50 rpm. Finally, the latter suspension was kept in a sonicator bath (ELMA, Germany) for 5 minutes at 60 ºC, in order to reduce particle size 6. Independent variables are presented in Table 1. Particle Size Analysis: For average particle size calculation and polydispersity index (PI) estimation of newly formed transfersomes, Dynamic Light Scattering System with laser beam of He-Ne (Malvern, England) was used. Transfersomes were diluted with deionized water before the experiment was carried out. In order to estimate transfersomes stability, samples were stored at both the room temperature and in a refrigerator for about 2 months. A dramatic decrease in loading capacity or formation of cake in the suspension is considered as a sign of instability. Drug Release from Transfersomes: Trans-fersomes were separated by centrifuging 10 ml of formulation for 30 min at 20000 rpm. A volume of 2 ml from supernatant was removed as donor phase in a static diffusion cell (MalekTeb, Iran). In the following step, the amounts of drug moving from cellulose acetate membrane to receiver phase were estimated through 10 h. Cumulative permeated Trolamine salicylate versus time curve, demonstrates the release pattern of the drug from transfersomes 21. In this equation J is flux of drug and P is the permeability coefficient that is made up of the membrane / vehicle partition coefficient K, the diffusion coefficient D and skin thickness h. P was calculated by dividing J by the drug solubility S in the donor phase 22. Enhancement ratios were calculated from permeation parameters after transfersome treatment was divided by the same parameters for controls 23. Statistical Analysis: Statistical significance of the difference between the various treatments was performed using one-way ANOVA. Differences were considered to be statistically significant at p< 0.0524. Correlation analyses were performed by the least square linear regression method. Also, correlation coefficients were examined for significance by students’t-test. All statistical analyses were conducted using the SSPS software (SPSS 13.0 for Windows, SPSS Inc., Chicago, IL, USA). Loading Capacity of Transfersomes: Determination of loading capacity is inevitable for evaluating therapeutic efficiency. Table 2 illustrates the loading capacity. The results indicate that the loading capacity is significant and in direct relation with the homogenizer rate (p = 0.01); however, no other variables mentioned in the above equation illustrates a significant correlation. The above equation indicates that increase in homogenizer rate (H) variable leads to the lower mean particle size. Therefore, transfersome particle size can be controlled by the homogenizer rate. Transfersomes mean particle size and polydispersity index are shown in Table 2. Transfersome Release Studies: The recent experiment was carried out in phosphate buffer pH=7 and drug release was followed during 10 h. In order to determine the effect of independent variables on drug release and recognize the difference between formulations regarding release profile, the percentage of the released drug after 3 h (D3) and 10 hours (D10) were measured. D3 concerns the rapid release of the component whereas R10 indicates slow release rate. The results are shown in Table 2. (Mean ± SD) Factorial design S. no. As it can be observed, the percentage of sodium cholate had a significant and indirect impact on drug release after 3 h. The results illustrate that an increase in the mentioned variables leads to a decrease in the drug release rate. Minimum amounts of D3 among all formulations belong to formulation 6 with higher amount of sodium cholate while other variables were at the lowest level. It seems that stability of lamellar membrane by higher amount of sodium cholate decreased the released drug. Release profile from lipid transfersomes follows a two-step process. First, a rapid release rate; secondly, a slow release profile. However, it seems that D10 follows different behavior and no significant relationship between D10 and the independent variable was found. These results demonstrate zero order and higuchi kinetic model for drug release from aqueous core and lamellar membrane, respectively. Zero-order drug release from aqueous core is a good property that provides constant drug concentration in the site of action. First order kinetic for drug release from lamellar membrane determines the onset of action that is controlled by diffusion. Two-phase drug release from transfersomes confirmed the drug loading pattern. Low amounts of drug loaded in the membrane can be corrected by using more amounts of phospholipid and water miscible co-solvent. Higher drug loaded in aqueous core and lamellar membrane can improve the effectiveness of formulations. This can be achieved by using lower amounts of sodium cholate, higher amounts of polar lipids, and higher percentage of co-surfactant. Trolamine Salicylate Permeability through Full Skin: The permeability of Trolamine salicylate through full-skin as flux (Jss), apparent diffusion coefficient (D), lag time (tlag) and also the enhancement ratio for flux (ER flux) and diffusion coefficient (ERD) that obtained by different transfersomes are shown in Table 3. The results suggest that the flux of Trolamine salicylate through rat skin was significantly increased (p<0.05) compared to transfersomes number 8, 7, 6, 5, and 4 that maximum ER flux (5.5) was obtained by formulation 8. On the other hand, formulation N.7 provided the best enhancement activity for diffusion coefficient and increased it approximately 1.7 - fold compared to control. Another aspect of permeation studies is concerned with independent variable influences. Regression analysis between independent variables and Jss indicates significant and indirect relation which is confirmed with E / lipid ratio and percentage of sodium cholate. Significant and indirect correlation was found between D and E / Lipid ratio. DISCUSSION: It seems that the main barrier for Trolamine salicylate penetration through rat skin is the partitioning into the skin. This finding was in line with physicochemical properties of Trolamine salicylate as a hydrophilic compound. Similarly, Cross et al., found similar results for human skin 25. They reported that the permeability of active ingredient from methyl ester and Trolamine salt of salicylate through human epidermis were three times faster through full-thickness skin. They suggested 99.9% of the salicylate present in full-thickness skin samples treated with Trolamine salicylate formulation could be accounted for in the epidermis and the epidermis to be the major site for deposition of salicylate from the salt. In another research, the flux of salicylate from methyl salicylate and Trolamine salicylate formulation applied to full-thickness rat skin was determined using in-vitro diffusion cells and it was reported that flux of salicylate from the methyl salicylate formulation was 40% higher than Trolamine salicylate 26. In addition, in a study conducted by Abdallah MH et al., it was shown that transferosomes as elastic liposomes are able to increase the transdermal bioavailability of antifungal agents 27. In this research, transfersomes as elastic liposomes were used in order to improve trolamine salicylate permeability through rat skin as well. Our previous study indicated that Transcutol and eucalyptus oil were the most effective enhancers followed by sodium lauryl sulfate. Oleic acid was the least effective enhancer that only improved diffusion coefficient. The comparison between the effect of the chemical enhancers on diffusion coefficient and flux suggested that partitioning from aqueous solution into skin was a rate limiting step in skin penetration and Transcutol and eucalyptus oil with improved drug solubility in skin increased flux 11 - fold approximately 28. In this study it seems that Transfersomes increased the solubility properties of skin for Trolamine salicylate and therefore increased the partitioning phenomena. Drug permeability through rat skin is enhanced by transfersomes with low level of sodium cholate and ethanol. These formulations increased Jss more that diffusion coefficient. This finding indicated that transfersomes decreased the resistance of skin and improved partitioning into the skin. It seems that drug permeability is controlled mainly by formulation parameters and formulation N.8 indicated best drug release pattern and skin permeability. In this study it is shown that, transfersomes as elastic liposomes are able to increase the trolamine salicylate permeation through rat skin by increasing the solubility properties of skin and therefore, increasing the partitioning phenomena. This study demonstrated that using lower amount of sodium cholate, higher amount of polar lipids, and higher percentage of co-surfactant increases drug loading. Consequently, transfersomes can be used as potent carriers in transdermal drug delivery. CONCLUSION: In this study it is shown that, transfersomes as elastic liposomes are able to increase the trolamine salicylate permeation through rat skin by increasing the solubility properties of skin and therefore, increasing the partitioning phenomena. This study demonstrated that using lower amount of sodium cholate, higher amount of polar lipids, and higher percentage of co-surfactant increases drug loading. Consequently, transfersomes can be used as potent carriers in transdermal drug delivery. ACKNOWLEDGEMENT: This paper is extracted from Pharm. D. thesis (Nazarian A), and financial support was provided by Ahvaz Jundishapur University of Medical Sciences. Lue S, Koppikar S, Shaikh K, Mahendira D and Towheed T: Systematic review of non-surgical therapies for osteoarthritis of the hand: an update. Osteoarthritis and Cartilage 2017; 25(9): 1379-1389. Available from: https:// www.ncbi.nlm.nih.gov/pubmed/28602781. Nakajima T and Makino K: Transdermal Delivery of NSAIDs. Masui. The Japanese journal of anesthesiology, 2015. 64(11): 1141-1144. Available from: https://www. ncbi.nlm.nih.gov/pubmed/26689064. Benson HA: Elastic Liposomes for Topical and Transdermal Drug Delivery. Liposomes: Methods and Protocols 2017; 1522: 107-117. Available from: https:// www.ncbi.nlm.nih.gov/pubmed/27837534. Ita K: Current status of ethosomes and elastic liposomes in dermal and transdermal drug delivery. Current pharma-ceutical design 2016. 22(33): 5120-5126. Available from: https://www.ncbi.nlm.nih.gov/pubmed/27165164. Shuwaili AHA, Rasool BKA and Abdulrasool AA: Optimization of elastic transfersomes formulations for transdermal delivery of pentoxifylline. European Journal of Pharmaceutics and biopharmaceutics 2016; 102: 101-114. Available from: https://www.ncbi.nlm.nih.gov/ pubmed/26925505. Auda SH, Fathalla D, Fetih G, El-Badry M and Shakeel F: Niosomes as transdermal drug delivery system for celecoxib: in vitro and in vivo Polymer Bulletin, 2016; 73(5): 1229-1245. Available from: https://link. springer. com/10.1007/s00289-015-1544-8. Chen Y, Quan P, Liu X, Wang M and Fang L: Novel chemical permeation enhancers for transdermal drug delivery. Asian Journal of Pharmaceutical Sciences 2014; 9(2): 51-64. Available from: https://www.sciencedirect. com/science/article/pii/S1818087614000026. Marwah H, Garg T, Goyal AK and Rath G: Permeation enhancer strategies in transdermal drug delivery. Drug delivery 2016; 23(2): 564-578. Available from: https:// www.ncbi.nlm.nih.gov/pubmed/25006687. Song W, Quan P, Li S, Liu C, Lv S and Zhao Y: Probing the role of chemical enhancers in facilitating drug release from patches: mechanistic insights based on FT-IR spectroscopy, molecular modeling and thermal analysis. Journal of Controlled Release 2016; 227: 13-22. Available from: https://www.ncbi.nlm.nih.gov/pubmed/ 26896738. Mohammed D, Hirata K, Hadgraft J and Lane ME: Influence of skin penetration enhancers on skin barrier function and skin protease activity. 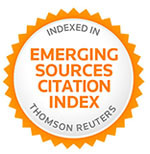 European Journal of Pharmaceutical Sciences 2014; 51: 118-122. Available from: https://www.ncbi.nlm.nih.gov/pubmed/ 24063883. Sayyad M, Zaky A and Samy A: Fabrication and Characterization of Sildenafil Citrate Loaded Transfersomes as a Carrier for Transdermal Drug Delivery. Pharm Pharmacol Int J 2017; 5(2): 00113. Available from: medcraveonline.com/PPIJ/PPIJ-05-00113. pdf. Walve J, Bakliwal S, Rane B and Pawar S: Transfersomes: a surrogated carrier for transdermal drug delivery system. 2011; Available from: www.ijabpt.com/pdf/85035-II-Janardan%5B1%5D.pdf. Baldwin J, Carrano R and Imondi A: Penetration of trolamine salicylate into the skeletal muscle of the pig. Journal of pharmaceutical sciences, 1984. 73(7): 1002-1004. Available from: https://www.ncbi.nlm.nih.gov/ pubmed/6470939. Doktor V, Lee CM and Maibach HI: Deep Percutaneous Penetration into Muscles and Joints: Update, in Topical Drug Bioavailability, Bioequivalence, and Penetration. 2014, Springer. p. 217-235. Available from: https://www. ncbi.nlm.nih.gov/pubmed/16729269. Zhao K, Singh S and Singh J: Effect of menthone on the in vitro percutaneous absorption of tamoxifen and skin reversibility. 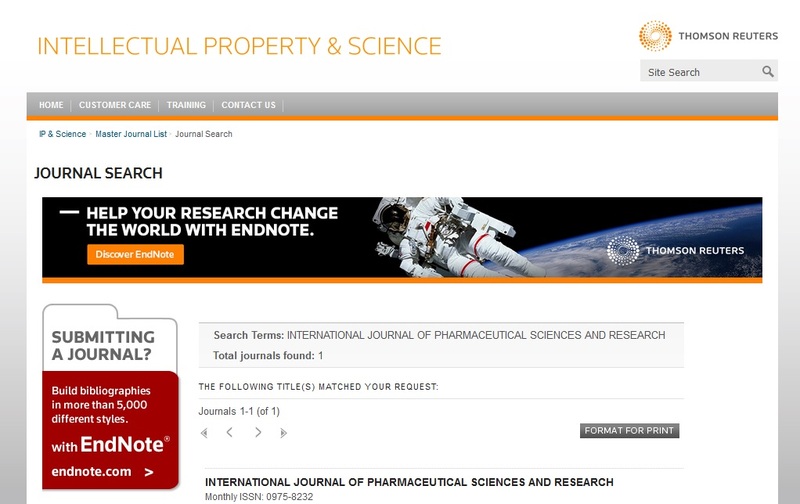 International journal of pharmaceutics 2001; 219(1-2): 177-181. Available from: https://www.ncbi.nlm.nih.gov/pubmed/11337177. Salimi A, Zadeh BSM and Moghimipour E: Preparation and characterization of cyanocobalamin (Vit B12) microemulsion properties and structure for topical and transdermal application. Iranian journal of basic medical sciences 2013; 16(7): 865. Available from: https:// www.ncbi.nlm.nih.gov/pubmed/23997918. Moghimipour E, Salimi A and Hassanvand S: Permeability assessment of griseofulvin microemulsion through rat skin. Int. J. Pharm. Chem. Bio. Sci, 2013. 3(4): 1061-1065. Available from: www.ijpcbs.com/files/volume3-4-2013/ 11.pdf. Abdellatif AA and Tawfeek HM: Transfersomal nanoparticles for enhanced transdermal delivery of clindamycin. AAPS Pharm Sci Tech 2016. 17(5): 1067-1074 Available from: https://www.ncbi.nlm.nih.gov/ pubmed/26511937. Jain AK and Kumar F: Transfersomes: Ultra deformable vesicles for Transdermal Drug Delivery. Asian Journal of Biomaterial Research 2017. 3(4): 1-13. Moghimipour E, Salimi A and Leis F: Preparation and evaluation of tretinoin microemulsion based on pseudo-ternary phase diagram. Advanced pharmaceutical bulletin 2012; 2(2): 141. Available from: https://www.ncbi.nlm. nih.gov/pubmed/24312785. Salimi A, Hedayatipour N and Moghimipour E: The Effect of Various Vehicles on the Naproxen Permeability through Rat Skin: A Mechanistic Study by DSC and FT-IR Techniques. Advanced pharmaceutical bulletin 2016, 6(1): 9-16. https://www.ncbi.nlm.nih.gov/pmc/articles/PMC48 33885. Ahmed TA: Preparation of transfersomes encapsulating sildenafil aimed for transdermal drug delivery: Plackett-Burman design and characterization. Journal of Liposome Research, 2015; 25(1): 1-10. Available from: https://www.ncbi.nlm.nih.gov/pubmed/25148294. Duangjit S, Opanasopit P, Rojanarata T and Ngawhirunpat T: Evaluation of meloxicam-loaded cationic transfersomes as transdermal drug delivery carriers. AAPS Pharm Sci Tech 2013; 14(1): 133-140. Available from: https:/ /www.ncbi.nlm.nih.gov/pubmed/23242556. Cross SE, Anderson C and Roberts MS: Topical penetration of commercial salicylate esters and salts using human isolated skin and clinical microdialysis studies. British journal of clinical pharmacology 1998; 46(1): 29-35. Available from: https://www.ncbi.nlm.nih.gov/ pubmed/9690946. Cross SE, Megwa SA, Benson HA and Roberts MS, Self promotion of deep tissue penetration and distribution of methylsalicylate after topical application. Pharmaceutical research 1999; 16(3): 427-433. Available from: https:// www.ncbi.nlm.nih.gov/pubmed/10213375. Abdallah MH: Transfersomes as a transdermal drug delivery system for enhancement the antifungal activity of nystatin. Int J Pharm Pharm Sci, 2013. 5(4): 560-7. Available from: www.ijppsjournal.com/Vol5Issue4/7767. pdf. Makhmalzadeh BS and Hasani MH: The effect of chemical and physical enhancers on trolamine salicylate permeation through rat skin. Tropical Journal of Pharma-ceutical Research 2010; 9(6): 541-548. Available from: https://www.ajol.info/index.php/tjpr/article/view/63552. Makhmalzadeh BS, Salimi A, Nazarian A and Esfahani G: Formulation, characterization and in vitro / ex vivo evaluation of trolamine salicylate - loaded transfersomes as transdermal drug delivery carriers. Int J Pharm Sci & Res 2018; 9(9): 3725-31. doi: 10.13040/IJPSR. 0975-8232.9(9).3725-31.